As a family run company, we at Specialized Travel Services truly understand the importance of valuable ‘family time’. We are experts at customizing that once-in-a-lifetime vacation for you & those you cherish the most. 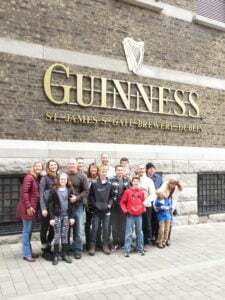 Our luxury family vacations to Ireland are one of a kind, and they can’t be topped by any other company. Give your family the vacation of a lifetime; explore your heritage, experience luxury at its finest and embrace true Irish culture with your loved ones. From a family of 3 or 4 people, to a group of 20 people, or a reunion of 100 people, we guarantee the most memorable of vacations with no detail left to chance. Explore your family roots – Stay in the villages/town that your ancestors hailed from, arrange a clan gathering or meet long lost cousins. 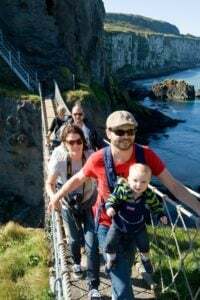 In recent years, Ireland has been nominated as “Best European Country for a Family Vacation” by TravelAge West, the leading travel industry trade publication in the western United States. There is something for everyone-no matter hold old they are…visit ancient castles, dine at a medieval banquet, or climb on-board a Viking ship; enjoy a day of horse-back riding or explore caves over a million years old. Specialized Travel Services will plan and customize your own private family tour! Looking for a private castle rental for a special celebration or looking to stay in a family owned Irish hotel or B&B, the choices are endless whatever the budget. Travel on your own luxury motor coach with your own customized itinerary to reflect the familys interests! We can cater an itinerary for families with infants & children of all ages-no restrictions & special children’s rates available – contact us for more info! So when planning a trip to Ireland, make your first call to a Company known for its people and personal service. We look forward to welcoming you & your loved ones to the Emerald Isle!